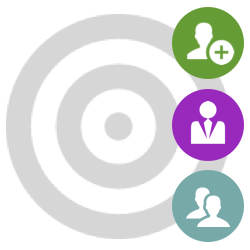 Get a better return on ad spend by using smart, limited time welcome and discount campaigns. Paying for new inbound traffic is expensive - but encouraging new visitors to complete a purchase from your store can make all the difference between an immediately profitable campaign or a money-drain. Maximise returns on paid campaigns by using limited time welcome offers for new visitors that create a sense of urgency to buy. Give first time visitors a great reason to buy from your store – before they move on to check out the competition. Improve profit margins by reserving your best promotions for specified paid visitor traffic that you want to convert into customers. Spend your marketing budget where it counts the most. Welcome offers can be used with any campaign or traffic source where you specify the link address. It's a great way to show a targeted marketing message and promotional offer from the original traffic source right through to your Magento store. 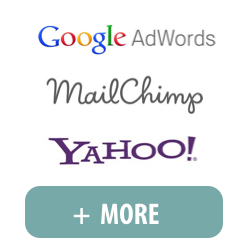 Maximise your return on investment and grow your revenue from these important traffic sources. It's easy! Simply choose any shopping cart price rule, create a campaign (via any channel where you can specify the link address), then use this extension to generate a tagged campaign URL. When a visitor clicks onto your website via the campaign source, the promotion will be automatically displayed as a sticky banner on each page they browse. 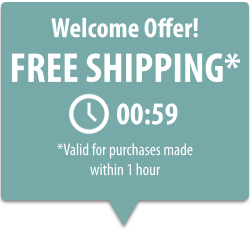 The banner can include an optional countdown timer to motivate visitors to complete their purchase and to maximise your chances of winning them as a customer. The offer/discount will be automatically applied at checkout. The visitor can choose to exit out of the banner at any time. What types of promotions are supported? 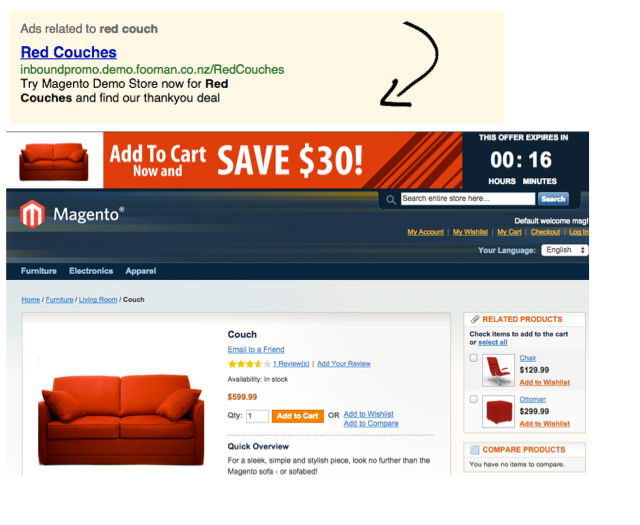 Any shopping cart price rule can be used, whether part of standard Magento or added by another promotion extension. Discounts, free shipping or free gift offers are popular incentives to convince your target audience to become first time customers. Are the banners pop up? The banners are content areas on each page, and are not pop up by default. Can I choose different positions to display the banner? By default, the offer is displayed as a banner at the top of each page the visitor browses. Different positions for the banner display are possible by customising the layout xml files provided with the extension. Only one banner will be shown at one time. The banner shown will be the one from the last tagged link the visitor followed. Can I customise the style of the banner and countdown timer? The style of the banner is optimised for Magento's default theme and is displayed by default at the top of the page. If you are using a different theme we suggest getting your frontend developer to take a look at the optimal location for the banner on your site. How does this extension use cookie information? Cookie information is used to determine whether a visitor is a first time visitor, and when they first arrived on your landing page (if you enabled a countdown timer, this is when the countdown begins). Can I design promotion banners using this extension? For best results, we recommend uploading a banner image that has been professionally designed. You can use Magento’s WYSIWYG editor to create some basic banner designs. If you decide to do this, we suggest keeping the design simple (for example, text and a plain background colour).